Lakewood community/Tennessee lakefront properties: Lakewood sales!!! A couple of home sales closed yesterday. 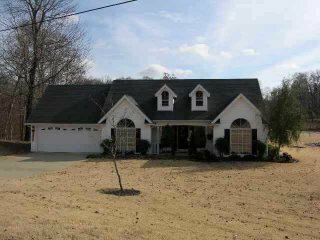 The 4 bedroom 3 bath home located at 785 Oak Ridge road finally closed sale yesterday. This property was on the market for over a year with 3 different companies. The purchase price was $200,000. The owner had moved and really neglected the property. We are still making repairs inside where a squirrel got in and literally ate the grids off some of the windows. The other home that sold is a 3 bedroom 2 bath vinyl sided home located at 21 Cottonwood Lane. This home was listed with another company and sold for the list price of $144,900 with the owner paying $2400 of buyers closing costs. Unlike the Oak Ridge house this house did not have lake frontage. This home sale should provide an excellent sales comp for future lakewood listings and sales. The brick and wood sided home picture is the Oak Ridge home and the one story vinyl is the Cottonwood Lane home. I expect the next sale (Juniper Circle) to close before week's end.